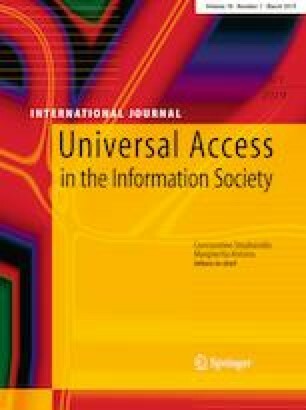 This paper examines to what extent the 129 members of the Urban Public Libraries Council meet the Section 508 standards for accessibility under the Rehabilitation Act, the minimum acceptable standard for accessibility under the Americans with Disabilities Act. Using an HTML evaluation tool, WAVE, the HTML coding of the libraries’ homepages was evaluated according to the Section 508 criteria for accessibility. After one-to-one deep examination to determine the accessibility of the library websites, the results tended to mirror other studies showing that most library websites have some coding deficiencies that limit the accessibility of the websites. Notably, only 7 of the 122 libraries that were surveyed had no Section 508 errors present with their homepages. The online version of this article (doi: 10.1007/s10209-017-0571-7) contains supplementary material, which is available to authorized users.